Making a profit from selling smartphones can be quite a challenge if you’re neither Samsung nor Apple. Those two companies managed to snag 106% of the smartphone profits in Q1 of this year while everyone else is practically bleeding money. 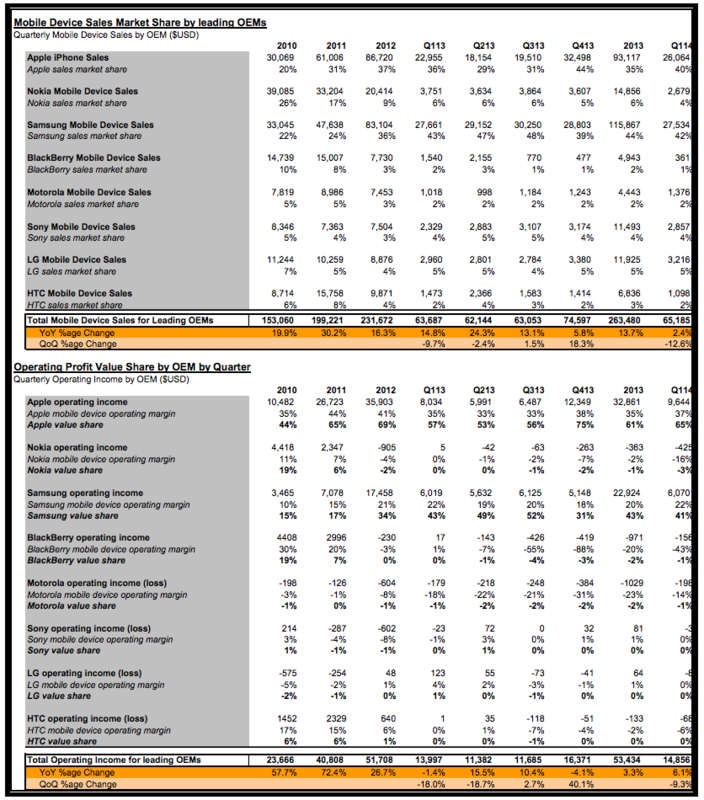 By the end of Q1, 2014, Apple managed to bring in 65% of the industry’s profits while Samsung came in at 41%. That means Nokia, Blackberry, Motorola, Sony, LG, and HTC are either losing money or barely breaking even. 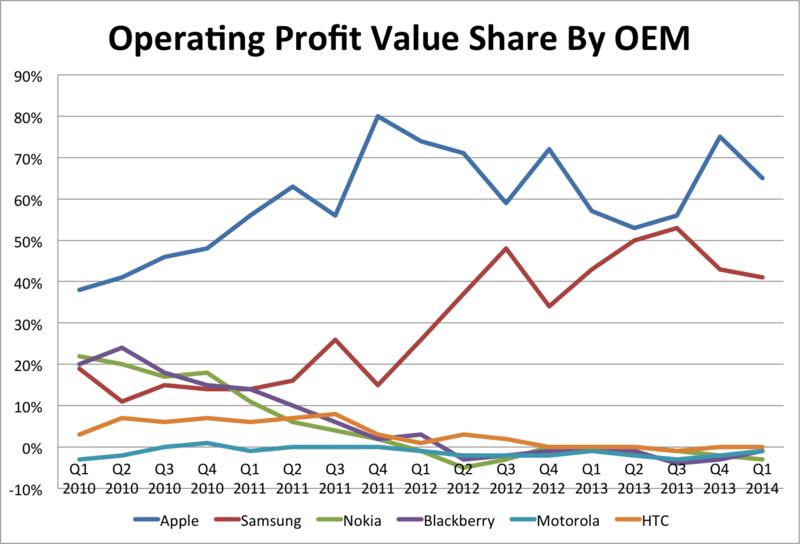 Nokia was the biggest loser with approximately -3% of profit.